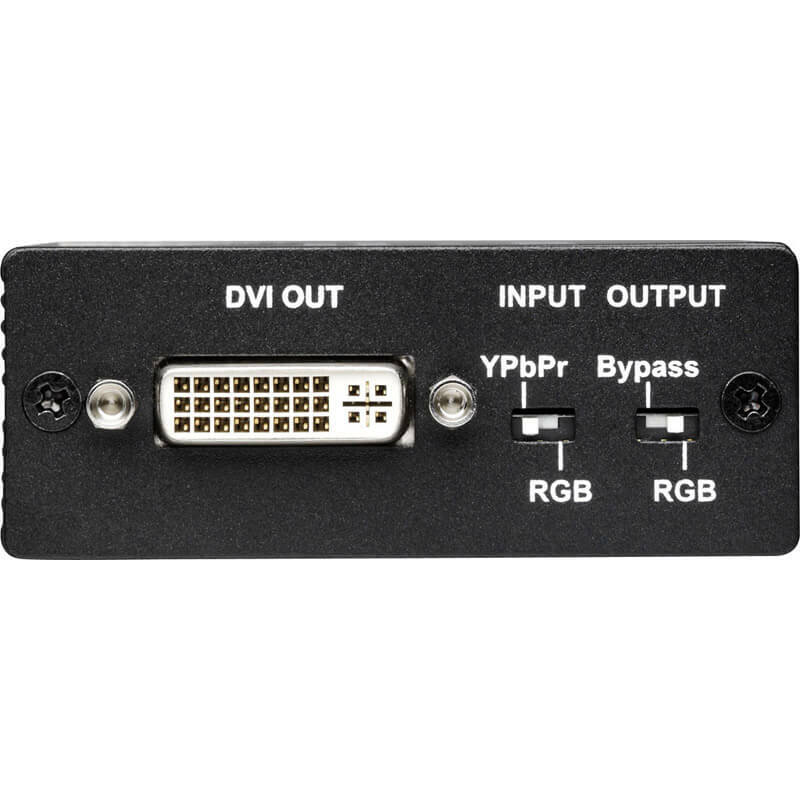 1T-FC-524 converts analogue RGBHV or Component YPbPr inputs to DVI signals, enabling their display on DVI or HDTV monitors or other devices. 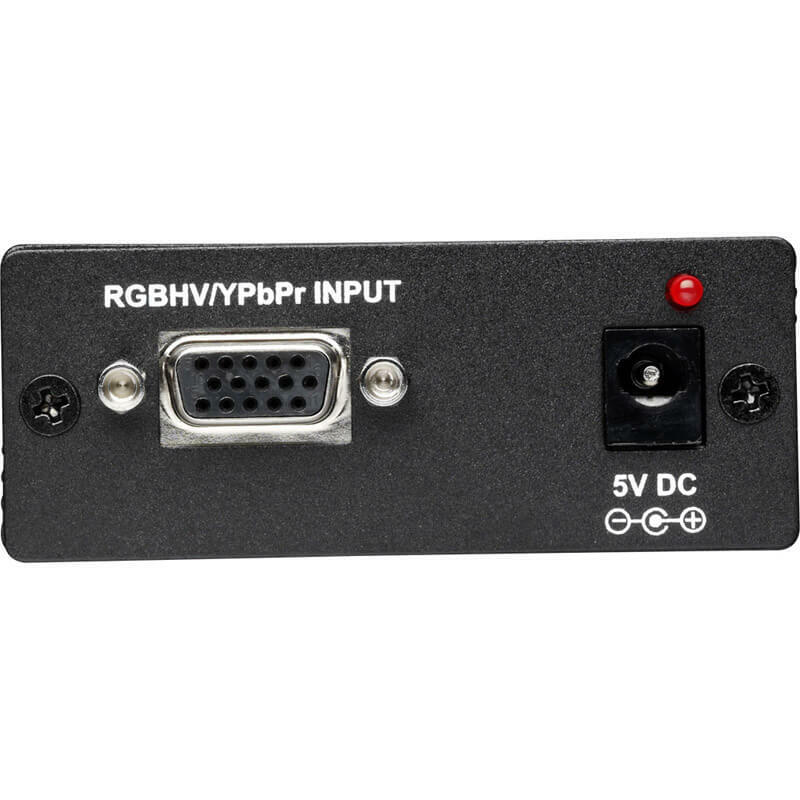 An analogue YPbPr input can be converted to either digital YPbPr or RGBHV. An analogue RGBHV input can be converted to digital RGBHV only. 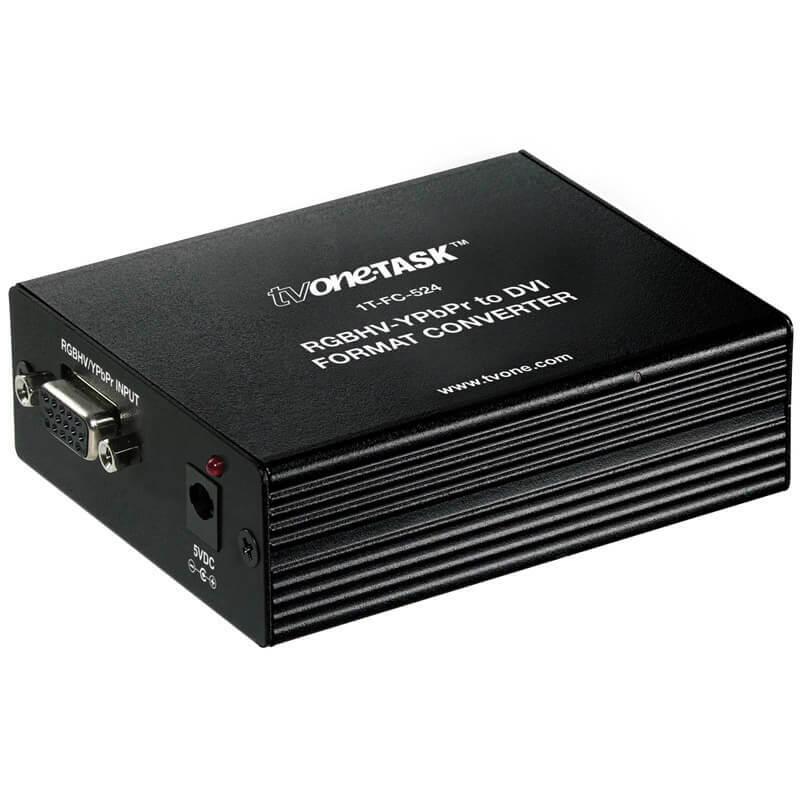 This unit is a Format Converter only and no video scaling takes place. The output resolution is the same as the input. All standard HDTV resolutions are supported on both products from 480p through 1080p, plus SDTV resolutions of 480i and 576i. PC resolutions up to 1920x1200 are supported. Both models are 5VDC powered and the Power Adapters are included. Locking DC Connectors are provided for security.